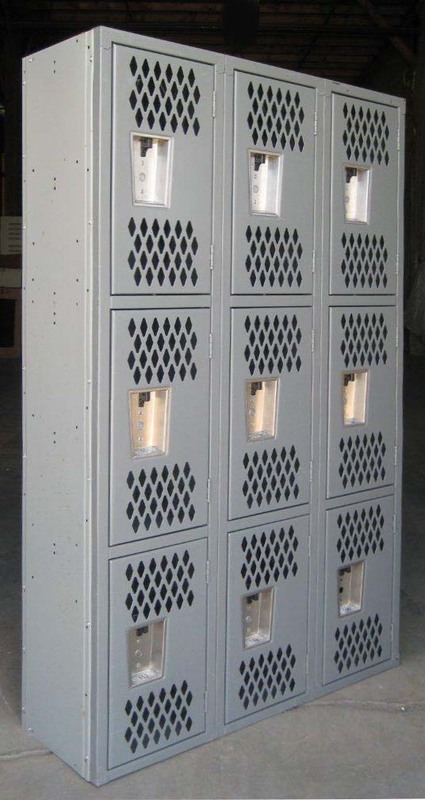 These Refurbished Three Tier Lockers are available on www.buyusedlockers.com where they have a huge selection to choose from if we need additional supplies. We have these three-tier lockers for sale that have been fully refurbished and are in great working condition. Each storage compartments is 12" wide x 18" deep x 24" high and include perforated doors for additional air flow. The 3-tier design provides high-density storage capacity for individual belongings, books, and supplies in a relatively small area These solid steel commercial units are built to withstand the rigors of daily use and are just right for schools, offices or gyms.